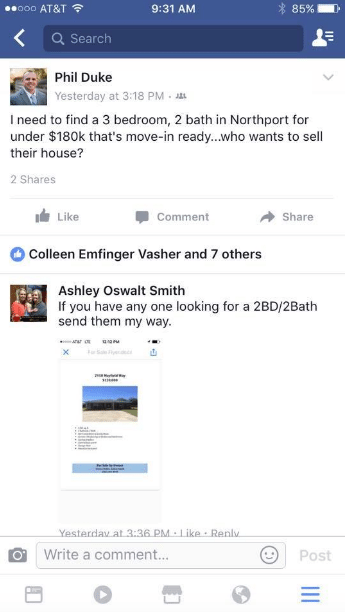 7 Listing Appointments & 1 NEW Listing in Under 5 Days? 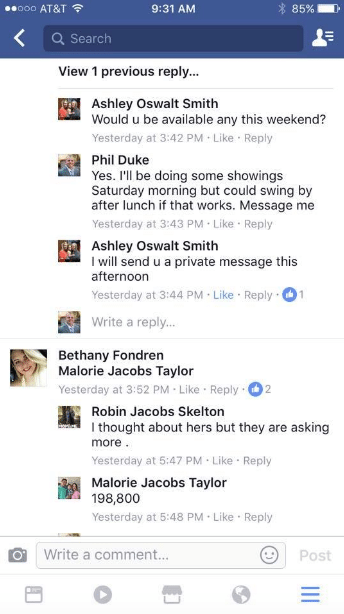 The other day one of our most successful members, Phil, shared a post to our private Facebook group (see above). In summary, Phil simply sent out one SUPER simple email and a VERY basic Facebook post on his timeline. His strategy didn’t require any special knowledge or ability, and yet the end result was MIND BLOWING. 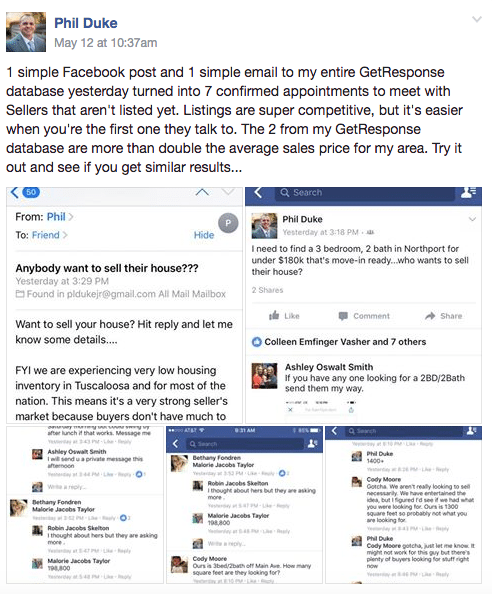 Within hours, motivated “come list me” sellers started to contact Phil about their properties, while others shared the post with their friends or family who may be looking to sell. Notice his strategy here. 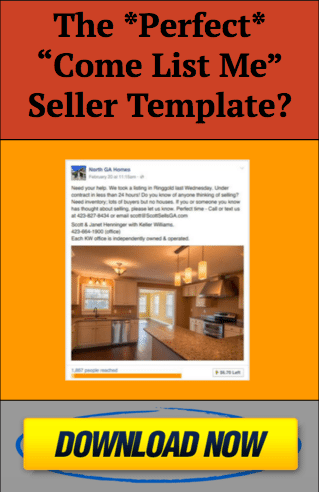 This is just one example of leveraging our seller referral offer script. Next, Phil tells a very engaging story that grips the reader’s attention. 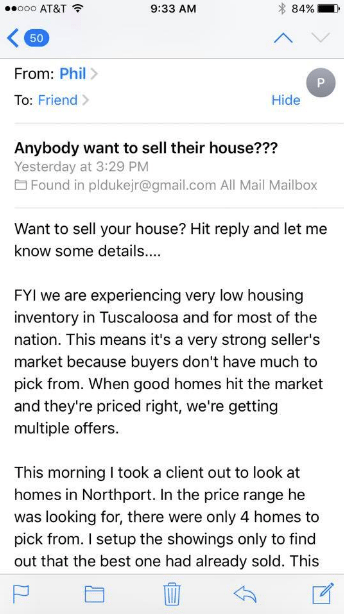 He has a strong seller’s market working to his advantage, but that doesn’t mean this can’t work for you! The *GOOD NEWS* is, your story doesn’t have to be as long as Phil’s. Keep it simple and have a call to action to call, text or email you. You have the scripts you need to take action with this 100% FREE strategy TODAY. Simply commit to implementing this strategy at least once every month consistently, and you will begin to generate REAL results. Finally, don’t forget to pick up your own copy of our PROVEN “come list me” seller template below. This FREE PDF will walk you step-by-step through some other case studies and examples you can leverage IMMEDIATELY to start attracting more listings & clients right NOW.